We dig back into the listener suggestions for everyday magical objects and look at another round of commonplace (or uncommonplace) items and how they can fit into a magical practice. Everything from the dapper gentlewitch’s accessories to photosensitive paper makes it into this one, so we hope you enjoy! Producers for this show: Heather, Achija of Spellbound Bookbinding, Raven Dark Moon, WisdomQueen, Regina, Jen Rue of Rue & Hyssop, Little Wren, Khristopher, Tanner, Jody, Johnathan at the ModernSouthernPolytheist, Catherine, Montine, Cynara at The Auburn Skye, Sarah at ConjuredCardea,The Trinket Witch, Victoria, Sherry, & AthenaBeth. (if we missed you this episode, we’ll make sure you’re in the next one!). Big thanks to everyone supporting us! You might want to take a quick listen back to our first Everyday Magical Objects episode if you aren’t familiar with what we’re doing in this one. You may also want to listen to our episodes featuring Robert Schreiwer and Robert Phoenix, since Cory mentions the event with them (which was a blast!). Thank you to listeners Heather, Autumnn, Mahalia, Mila, Chris, & Jennifer for this episode’s Everyday Magical Object suggestions. Please feel free to send in your own suggestions for future objects! We spend some time outside in this episode, where we talk Appalachian magic and plants with Becky Beyer of Blood & Spicebush. In the second part of the show, Cory tries something new and does a “practical pathworking” in the woods. FINAL MONTH! It’s been a while, and we want to do a second round of our Audio Spellbook, so all you have to do is send us the sound of *you* describing your favorite spell which uses everyday ingredients (things you could find in a spice cabinet, grocery store, or backyard, for example). You can either record your spell and email it to us at compassandkey@gmail.com or call us and leave us a voice mail on our official NWW hotline: (442) 999-4824 (that’s 442-99-WITCH, if it helps). You can also get an extra entry by sharing either our Patreon page or our Contest Announcement via your favorite social media (make sure to tag us or get a screen capture you can email to us). What will you be entered to get? Well, you’ll get a NWW Annual Mailer (who can’t use an extra one of those, right? ), a couple of bottles of our personally handmade condition oils, a folk charm or two, and a book or two to make it all even better! The incidental musical selections is “Cabin in the Woods,” by the Be Good Tanyas feat. Jolie Holland (from the Free Music Archive/Soundcloud, used under a Creative Commons License). Additional incidental music is “Lucidique,” by L’Horrible Passion, via Soundccloud.com and used under a CCL. Sound effects derived from original material at SoundBIble. Tonight we have a special guest with us to discuss shapeshifting once more. Plus we’ll hear an Appalachian folktale and a few shapeshifting spells, too! Producers for this show: Diana Garino, Renee Odders, Ye Olde Magic Shoppe, Raven Dark Moon, Ivory, The Witches View Podcast, Sarah, Molly, AthenaBeth, & Jen Rue of Rue & Hyssop (if we missed you this episode, we’ll make sure you’re in the next one!). Big thanks to everyone supporting us! Our friend Achija Branvin Sionnach of Spellbound Bookbinding is our special guest this evening, and he’s also offering a special service to all of our listeners: If you have a paperback book you want leatherbound, he will do it for you for the costs of materials and shipping! Just mention you heard him on our show. Cory also mentions the short film Foxes, which involves shapeshifting. Our guest tells the story of “Cat & Mouse,” an Appalachian Jack tale. And we also mention the story of Nebuchadnezzar from the biblical book of Daniel. Music: “Werewolves 2.0,” by Moi, le voisin, from Soundcloud (used under the Creative Commons license). Incidental music is “Ambient 1,” by Olssons, also from Soundcloud. Podcast recommendation: Check out the latest episode of Infinite Beliefs, which features our friend (and sometime shapeshifting witch) Sarah Anne Lawless! Quick Update – Contest Ending This Weekend! First of all, sorry for the long silence on both the podcasting and blogging fronts. I’ve had a busy couple of weeks covering an extra workload while my boss is out on maternity leave and I’ve had writing for school that I had to finish up as well. I’ve got several things in the works, including a new episode of the show and some new material for the blog, but I may have to beg your indulgence and patience for a little longer, so please bear with us. You can send in as many pieces of lore as you like, and each piece gets your name entered in the hat. So if you send in ten pieces of lore, you’ve got your name in our kitty ten times and your odds improve. You can only win one prize. No entering under multiple names/emails. So if you haven’t entered (or heck, if you have and want to up your chances of winning), send us your folklore and get yourself in the mix for these lovely prize packages! We’re closing the contest at midnight on Sunday, March 31st, 2013. Entries received after that time won’t count. We’ll be drawing names on the next episode recorded after that date (sometime in mid-April, though prize winners may be notified earlier for addresses). Here’s wishing you good luck! Thanks for all your entries so far, and best wishes to you all! Summary: In this episode, I’ll be telling stories from American folklore about how people learn witchcraft. We’ll hear tales of initiation and apprenticeship, solitary witches, witch apprenticeships, and find out just what witches do. Hello dedicated (and not abandoned!) readers! This month, I’m going to be spending a lot of time looking at various botanicals found throughout North American magical practice. What with it being springtime and all, I thought a little stroll through our native meadows, forests, fields, and fens would be a good way to get back in the swing of things, and might even open up some new avenues of exploration for somebody. As always let me emphasize that THIS IS NOT A MEDICAL BLOG, AND THE INFORMATION HERE IS NOT INTENDED TO DIAGNOSE, TREAT, OR OTHERWISE MEDICALLY PROVIDE FOR ANY ILLNESS OR AILMENT. ALL INFORMATION IS PROVIDED AS FOLKLORE ONLY!!! 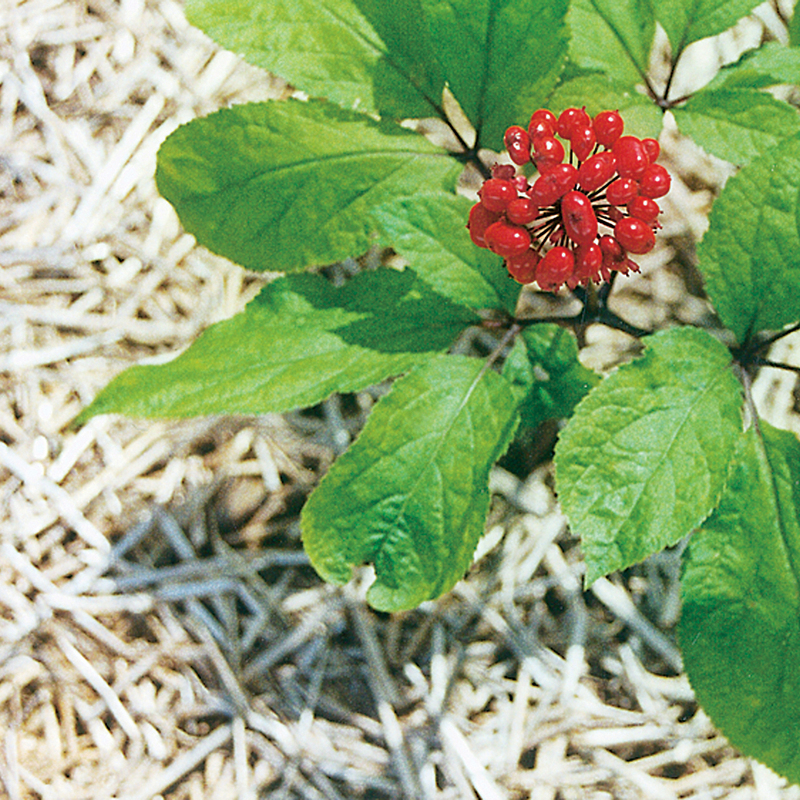 I’m starting with a plant that may or may not be familiar to most people: American Ginseng (panax quinquefolia). This plant can be found throughout the mountainous regions of North America ranging from Canada down to the Southern states. It’s long been highly valued in Chinese medicine, and has been considered a panacea (hence its botanical Latinate name of panax) for a wide variety of complaints. You can read a good bit about the botanical and medical side of the plant at its Botanical.com entry, so I’ll focus today more on the folklore side of this incredibly useful root. When I was growing up in the rural South, I had a good friend in high school whose father would regularly take him ginseng hunting (or “sanging”) in the hills and mountain areas a few hours away. It was a profitable side business for them, as it has been for mountain folk for nearly three centuries. In the Foxfire Book #3, which includes a whole chapter dedicated to ginseng, there’s a history dating back to the early 18th century in which Father Joseph Lafitau had local Mowhawk tribes in Canada begin gathering and curing native ginseng for sale on the Chinese market (244). At one point, ginseng was reputed to be worth its weight in gold, literally. Jude’s Herbal Home Remedies includes this tidbit about the economic value of the root: “Even Daniel Boone gathered it [ginseng] to sell because it was more profitable than hunting and trapping” (18). Unfortunately this demand led to an overzealous glut of wild harvesting, and ginseng’s botanical population dwindled steadily into the early 20th century. It’s made something of a comeback in the last 50-60 years due to stricter laws governing its harvesting, but as my story about my friend’s family demonstrates, it’s still a very common practice and hard to regulate. In one example I found, the act of finding ginseng has its own value. From Folk Medicine in Southern Appalachia: “For some, the pursuit of ‘sang’ and other herbs is a therapeutic activity in itself. A ninety-year-old woman from eastern Tennessee said: ‘When I feel down in the dumps, I go sangin’” (60). It also considers ginseng one of the great coffee subsitutes available in the wild. It is still considered a great digestive aid, as well. The folklore tome Kentucky Superstitions calls it “A sure remedy for all kinds of stomach trouble” (107). Mentions its name as “Wonder of the World root,” and tells how it can be used in hoodoo to enhance longevity, libido, & performance in sexual situations (527). Also says you can carve a wish on a whole root & toss it into running water to gain what you desire (763). This incredibly verstatile root definitely has a place in a folk magician’s cupboard, though I would recommend acquiring it from legal sources. While I’m normally an advocate of wild harvesting roots for practice, in ginseng’s case three centuries of such harvesting have taken a toll, and since it grows well in cultivation I’d rather see the wild stocks remain alive and untouched for a long time to come. If you have experience with ginseng or know of any unique magical applications for it, I’d love to hear them! Until next time, thanks for reading!